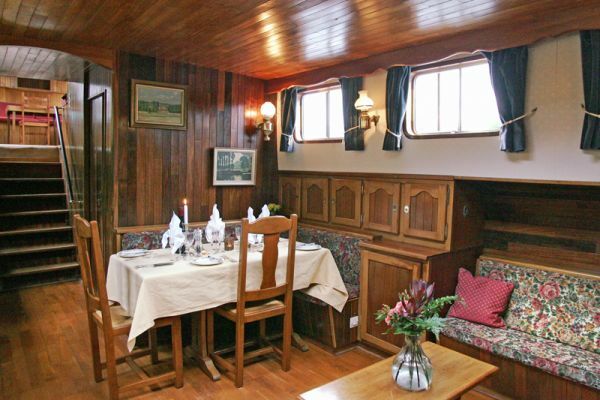 Guests are met at the designated meeting point and transferred to Nymphea where a “Champagne Welcome” awaits you at our mooring opposite the 17th century Moulin de Nitray. Dinner on board. A morning cruise two locks takes us to the quaint town of Larcay where we moor under the weeping willows for lunch. Following the Loire cycle path we follow the River Cher downstream to visit the Chateau de Valencay with its world-renowned renaissance gardens. Cycling back is optional as the car and trailer meet us there for the visit. Dinner on board. After breakfast, by bicycle, we parallel the barge’s course on its cruise passing six private chateaux and we also visit the Chateau Nitray and the rose garden, where we enjoy a pre-lunch aperitif from Nitrays vineyards. We then cross the river, cycle along the towpath and meet the barge moored opposite the hamlet of Vallet, a cluster of classic Tourangeau architecture grouped around the 18th century mill. After lunch on board, we take the minibus to Amboise on the banks of the River Loire, where we visit the Royal Chateau D’Amboise and the Clos Luce, Leonardo Da Vinci’s home. The bicycles will accompany us on the trailer, so an optional cycle ride back to Vallet is available. Dinner on board. Whilst the Nymphea winds its way to Bléré in the morning, cyclists follow the towpath and country lanes to the Domaine de la Grange, where we taste the range of Touraine wines that are produced and domaine bottled by Bruno Curassier. In the afternoon we cruise upstream under the impressive Château de Chenonceau, one of the most visited private chateaux in France, which belongs to Mr.Meunier of chocolate making fame. We moor at the little village of Chisseaux and cycle back along the lanes to the Chateau and see the amazingly decorated rooms with no expense spared by Thomas Bohier, Diane de Poitiers and Catherine de Medicis since its conception in 1515. Dinner ashore tonight in a local restaurant, specializing in regional cuisine. After breakfast, the cyclists head north for 22km to join the River Loire again, arriving at the Château de Chaumont with its renowned international Garden Festival. 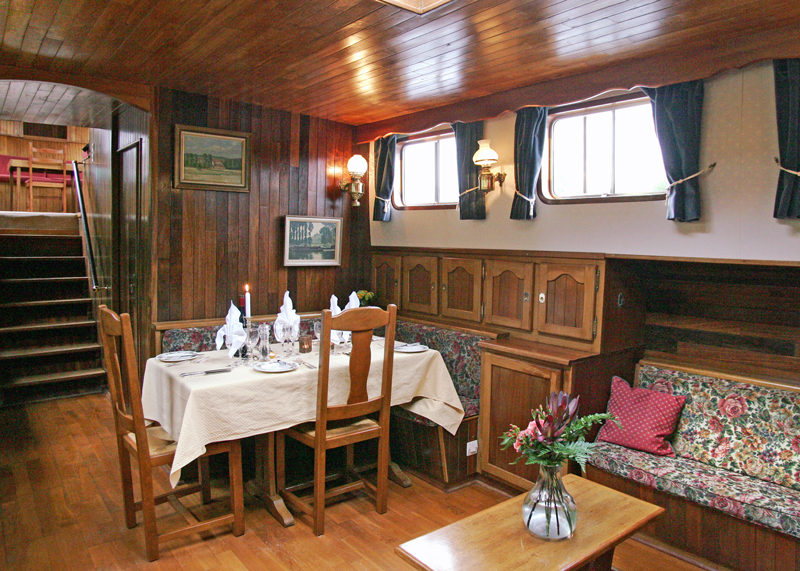 We free wheel down to the river bank , to visit a traditional wooden Loire sailing vessel, or ‘toue’. 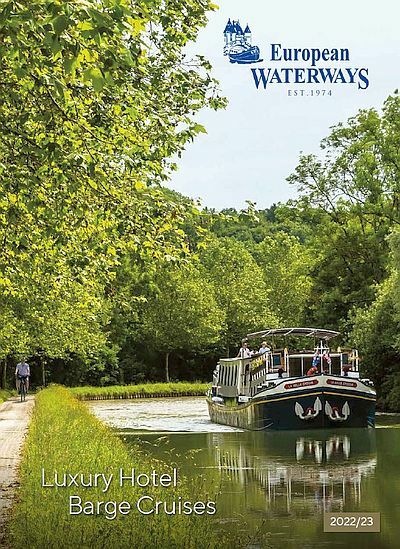 We continue our ride and stop at an island for a picnic and a swim, while enjoying the remarkable nature and pastoral scenery of one of the major yet shallowest rivers of France. Upon arrival in Amboise, we can return to Montrichard by minibus or the bikes will be available for the more energetic to cycle back to Nymphea. Dinner on board. This morning, a short stroll takes us to the heart of Montrichard, into the midst of one of the largest weekly street markets in Touraine. There is much to explore at the 12th century Chateau of Foulques Nerra overlooking the mediaeval town square. After an early lunch, there is a choice of transport, either bicycles or Nymphea. 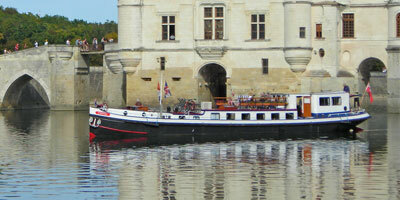 Nymphea sets off downstream again, for another passage under Chenonceau and arrives at the hamlet of Nitray. Meet up with the cycle party there and enjoy a pre-Captains dinner aperitif. Captains Farewell Dinner on board. After breakfast guests are transferred to the designated drop off point. *Cycling themed cruises are charter only. This sample itinerary and is subject to change. On alternate weeks the cruise is in the reverse direction. Various pick up and drop off points are avaiable for charter groups.